Opps, you have typed lot of text matter and suddenly you need to change text matter in capital letter. What will you do? Will you type again? I think no one want to type again, simply we want to make the change, So the topic is how to make typed text matter in capital letters, some people use mouse for doing this as we know mouse take long time than using keyboard shortcut keys. As I said before there are lot of shortcut keys available in every software/ applications, just we need find and use them in the right place. So today I will show you how to make typed text matter in capital letter without using a mouse, just use this simple and easy keyboard shortcut keys. 4. 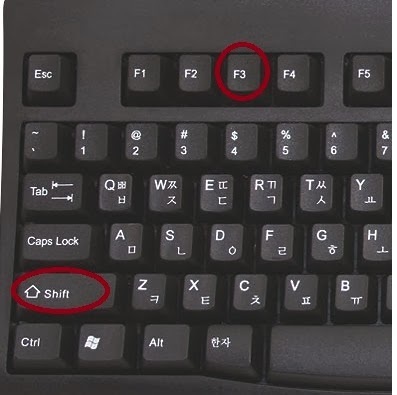 The same key will work for making small and capital letter.